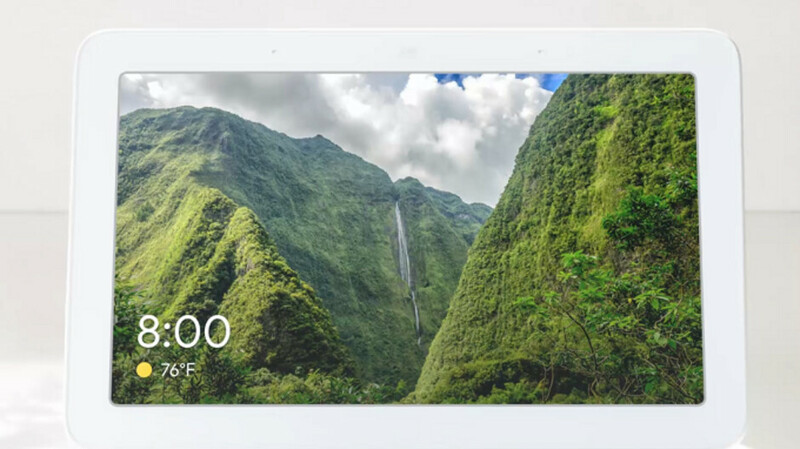 When Google unveiled the Home Hub smart display earlier this month, it confirmed earlier leaks and renders that showed the device without a front-facing camera. Google says that it eliminated the camera in order to maintain a level of privacy for the user (more on that below). But without the camera, the Home Hub obviously doesn't allow users to conduct two-way video chats using Google's own Duo app. However, the Duo app can still be employed by the Home Hub to make one-way video calls. If the person on the other end of the call has a video camera, you will get to see his/her live stream on your Home Hub's display. However, since there is no camera on Google's smart display, instead of seeing video, the person on the other end of the call will see your profile picture instead. Google has posted a support page titled "Make video calls on Google Home Hub." You can view this page by clicking on the sourcelink below. After you follow the instructions, you can initiate a video call to someone in your contacts list by saying "Video call (name of contact)." Hanging up afterward is as easy as saying "End the call" or "Hang up." While Google says that the lack of a front-facing camera on the Home Hub was a design choice made to protect a user's privacy, it also might have been a choice made by Google to keep the price of its smart display down for competitive reasons. A future version of the device could include a camera. I just don't get it, Google releases a home Hub, but doesn't include video, I mean really! I suppose it was so not to upset their partners, but then why bother?